Each year Bows-N-Ties get involved with a charitable cause, and for 2016 we decided to partner with Aid for Africa. To raise money and awareness our designers created this limited pocket square collection with 100% of the purchase being donated to Aid For Africa. Purchasing one of these pocket squares will help bring books to school children, help combat HIV/AIDS, helps support small businesses for women, and more. Not only will your purchase do good in the world, but it will literally make you look better. They are an instant conversation starter! For tips on how to wear these pocket squares, check out their blog. 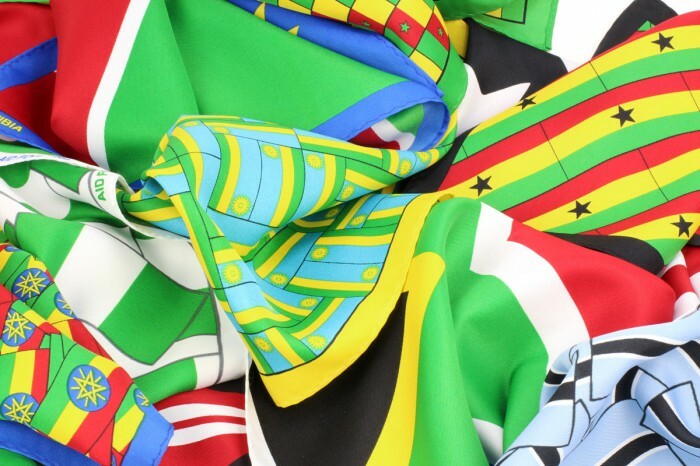 This pocket square collection was not only designed to raise money, but also intended to spread awareness for sub Saharan charity organization AidForAfrica.org – an alliance of nonprofit organizations dedicated to helping solve the complex challenges facing Sub Saharan Africa. To help raise money for this nonprofit our designers created this limited collection of African flag themed pocket squares. 100% of your purchase price goes to Aid for Africa. Your purchase will help bring books to school children, combat HIV/AIDS, support small businesses for women, bring fresh drinking water to communities, protect wildlife, and more throughout the countries of Sub Saharan Africa. With your help this collection will raise $24,000 for this non-profit – enough to touch thousands of lives in Africa. Support this cause by purchasing one, two, or ten of these unique menswear accessories. We guarantee that it will make you look good in more ways than one! We appreciate your support! Besides purchasing one (or several) of these pocket squares, you can also help by spreading the word about this fundraiser by using one of the social sharing buttons above. A simple tweet, share on Facebook, pin on Pinterest, or submission to reddit can make a huge difference! We very much thank you for your support! Hey Buddy!, I found this information for you: "Aid for Africa – Pocket Squares for a Good Cause". Here is the website link: https://blackmeninamerica.com/aid-for-africa-pocket-squares-for-a-good-cause/. Thank you.